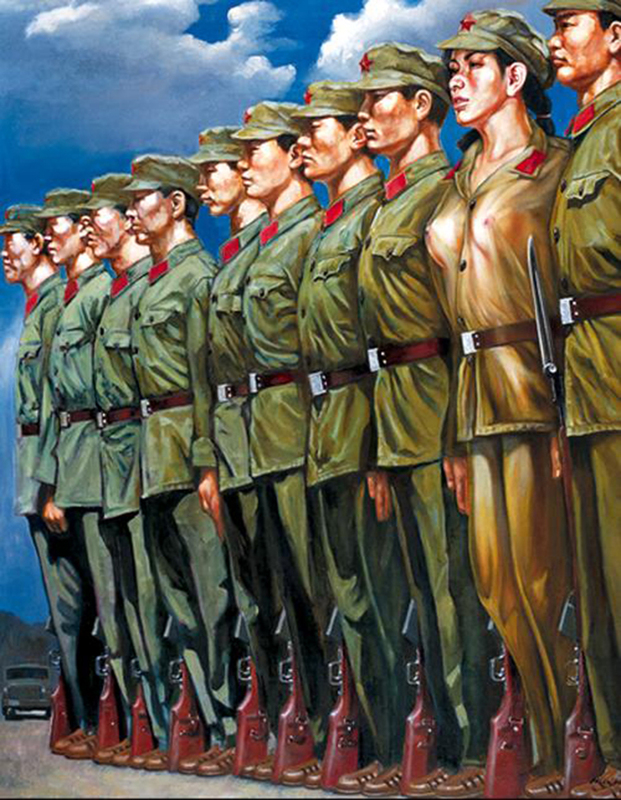 Hu Ming- The Peoples Liberation Army Never Looked So Good. 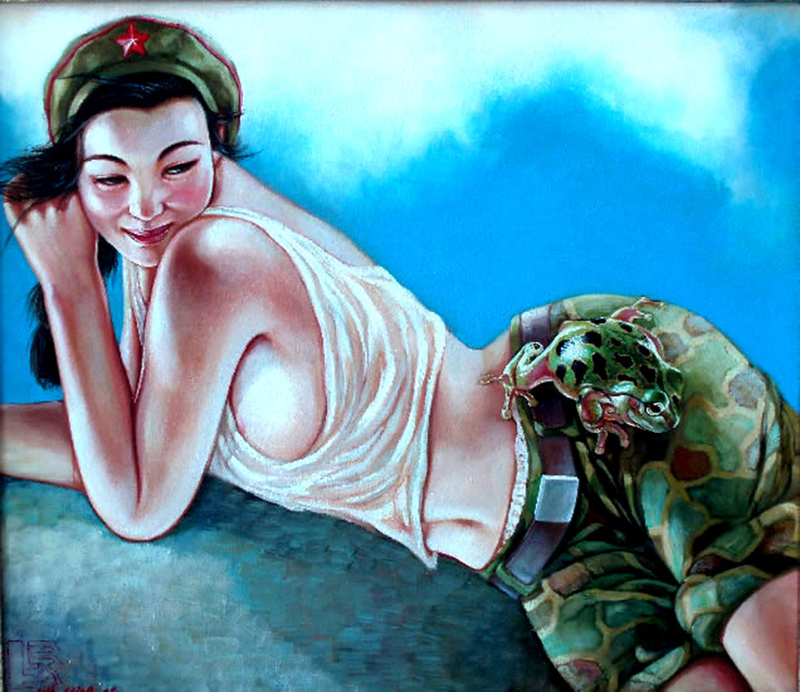 When Chinese artist Hu Ming looks for beauty she finds it in the female form. 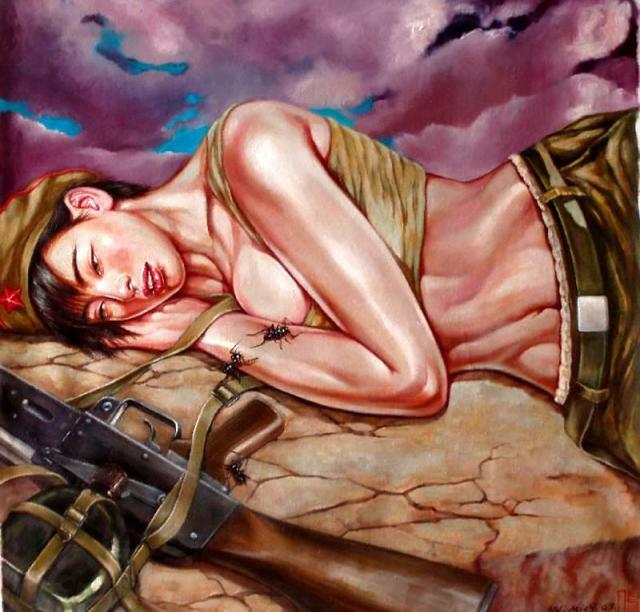 The subjects of her paintings are muscular, classical beauties. 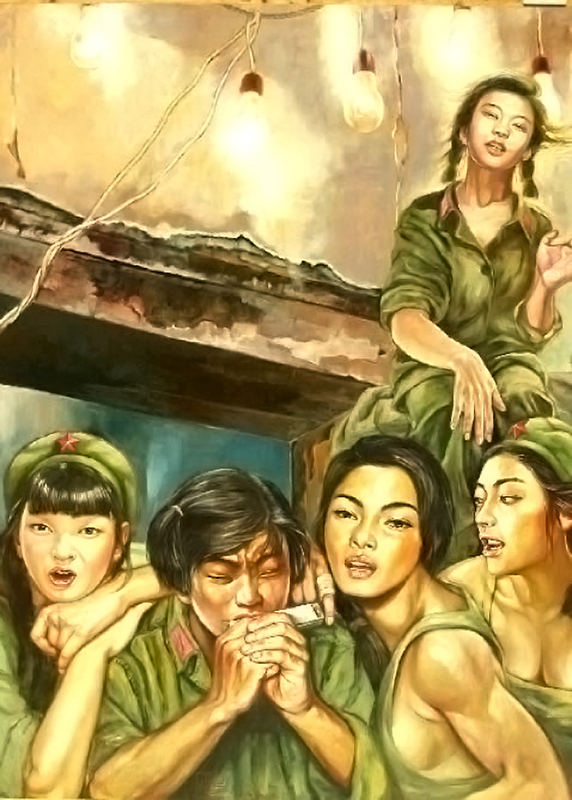 Like the young Chinese women depicted in the propaganda images of Mao’s Cultural Revolution they’re wearing the army uniform. 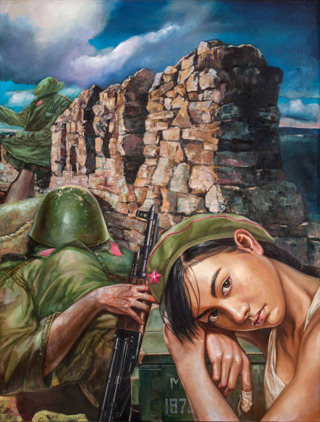 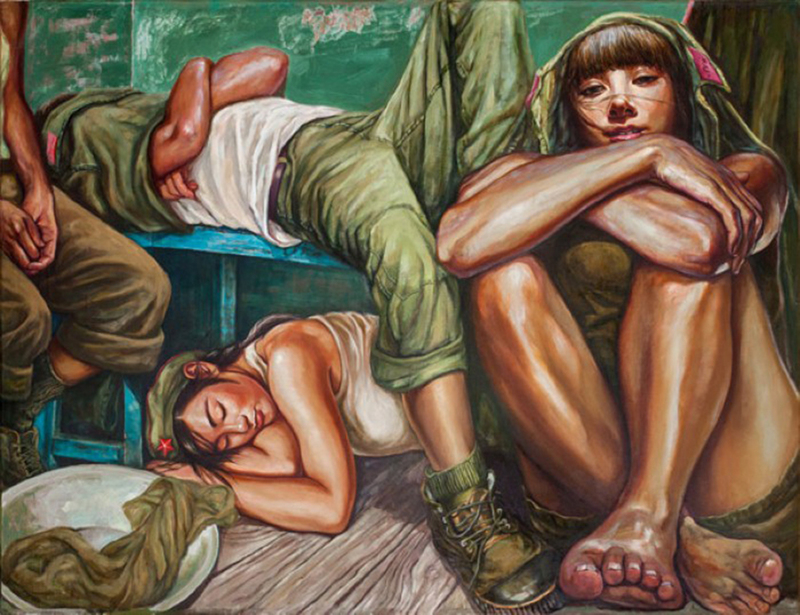 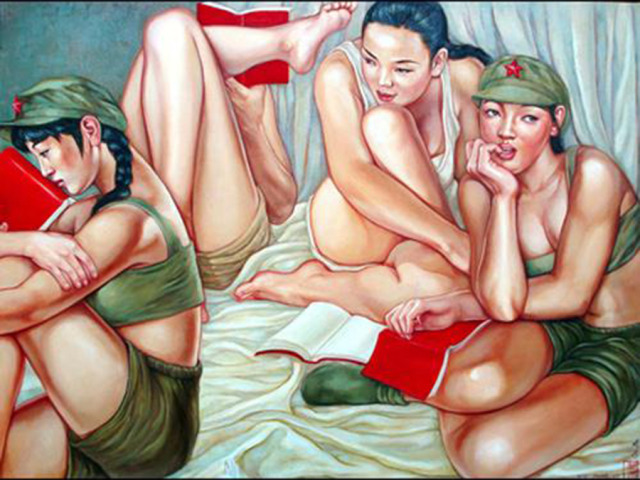 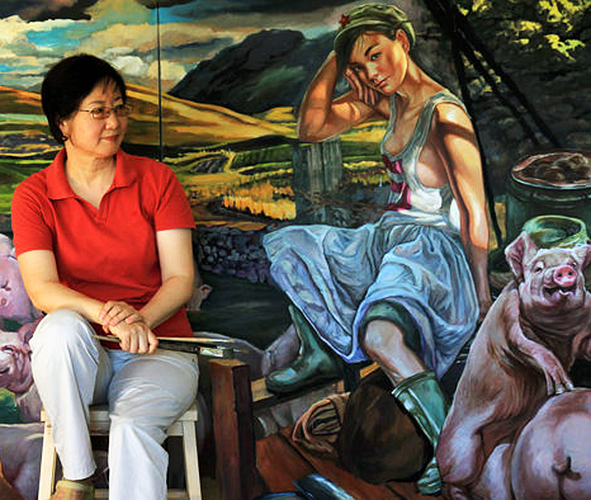 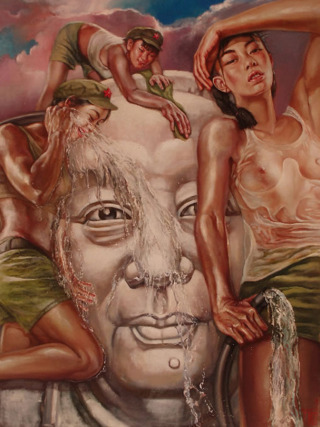 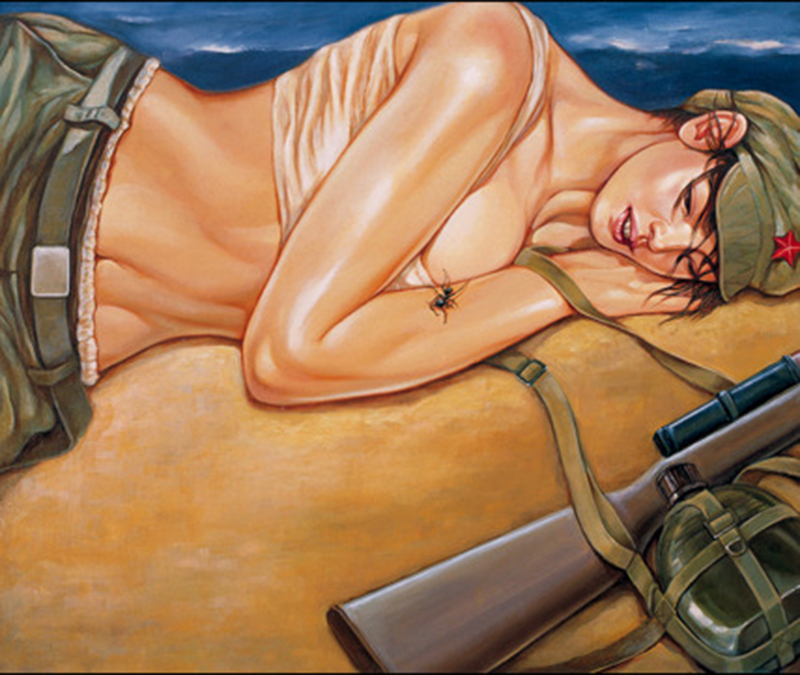 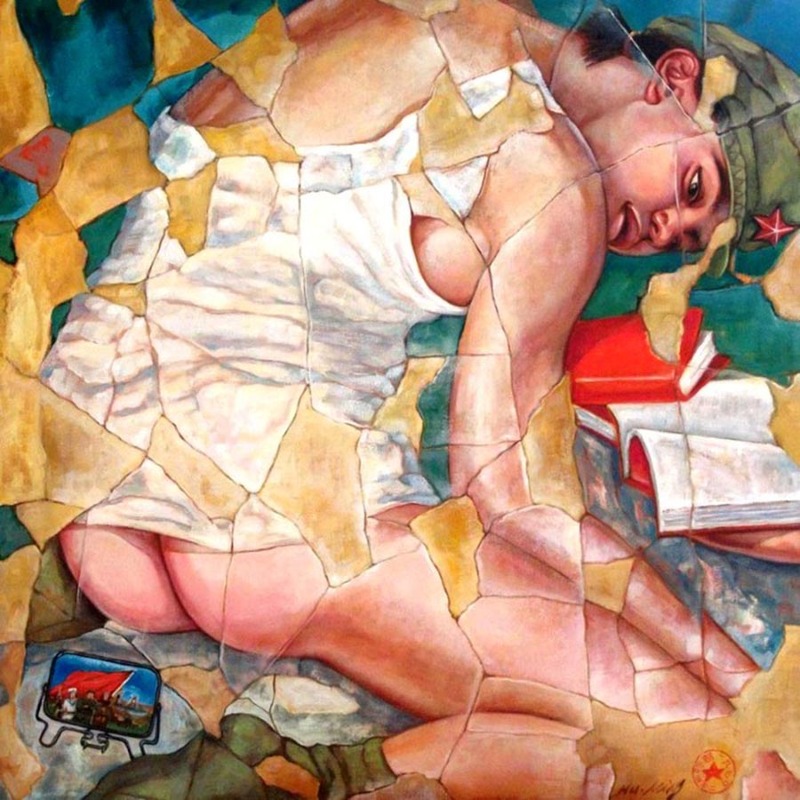 Yet in the hands of Hu Ming, herself a veteran of the People’s Liberation Army, these highly sexualised women become individuals and symbols of cultural liberation. 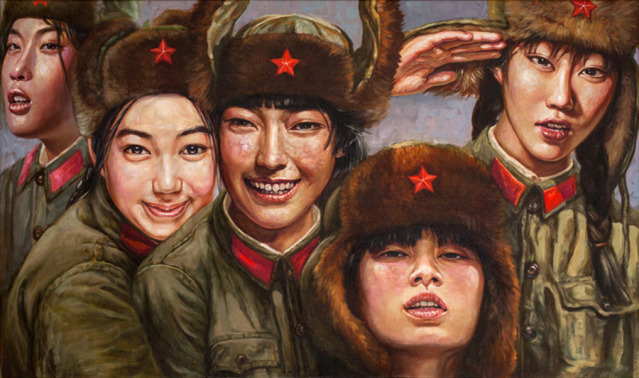 Born in Beijing in 1955, Hu Ming’s parents were doctors in the People’s Liberation Army (PLA) and in 1970 at the age of 15 she also enlisted. She worked as a librarian and film producer, and in army hospitals where her duties ranged from administering injections to soldiers to treating burn victims and assisting in the morgue. 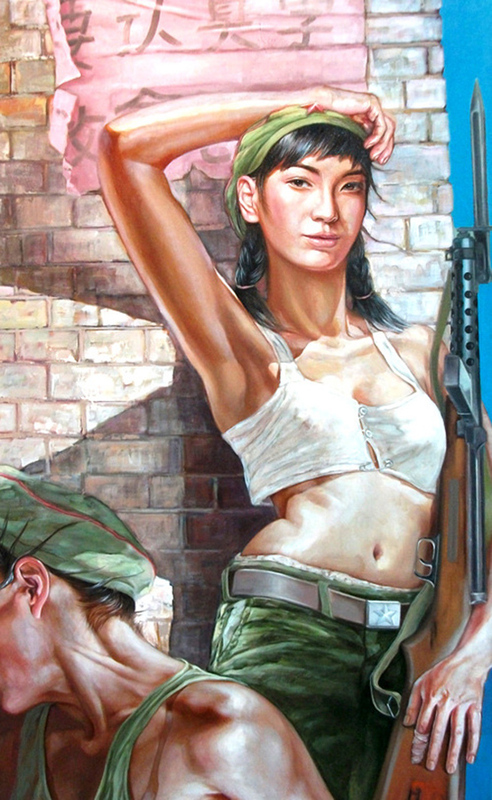 However Hu Ming’s rebelliousness and propensity for challenging directives stunted her career progression. She was given leave to study painting at Tianjin University, where she flourished, but had little opportunity to pursue her art upon return to the army. 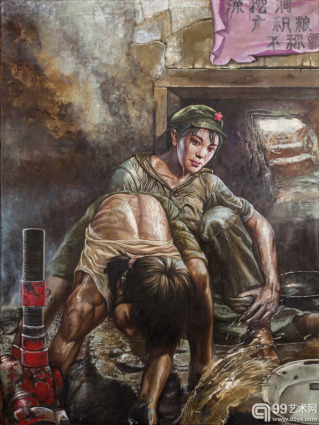 Upon graduating in 1983 she was assigned work as artistic designer in the PLA’s film production unit where she remained until retiring after twenty years’ service in 1985 with the rank of major. At the time of the Tiananmen Square protests in 1989 Hu Ming was still making films for the army’s propaganda unit. Her husband Ai Duanwu, editor of a radical magazine and the brother of artist and activist Ai WeiWei, had become a figure of suspicion; he made the decision to leave China for the United States, but rather than follow him Hu Ming applied to study English in New Zealand and in 1990 left Beijing to start a new life in Auckland. 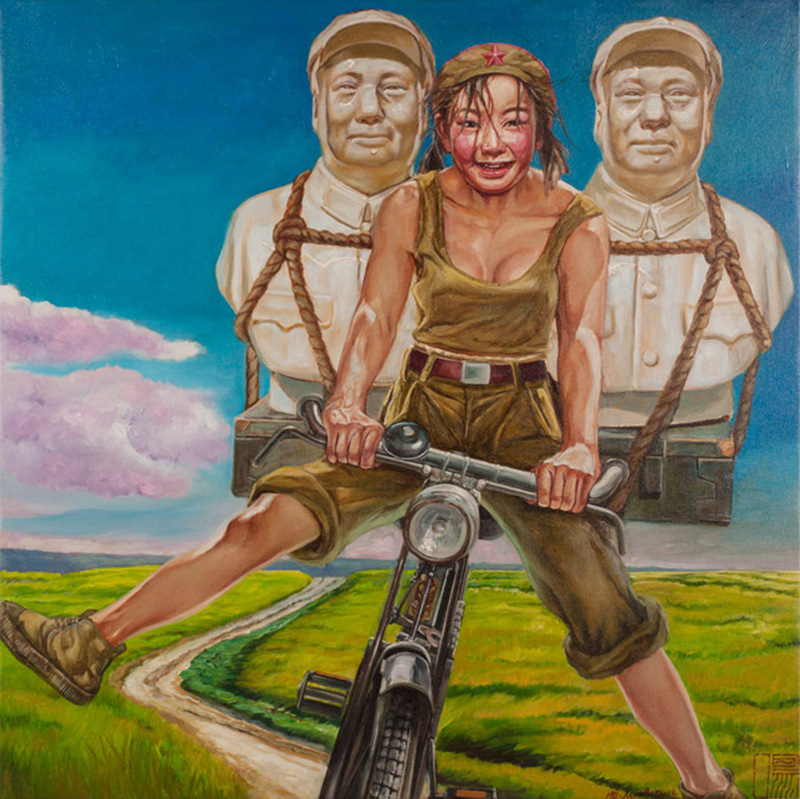 In New Zealand she turned from traditional painting styles in Chinese inks to oils, and has since effectively transposed and developed the traditional Gongbi style to works executed with oils on canvas. In 1999 Hu relocated to Australia, where she has established herself as an important Sydney-based artist. 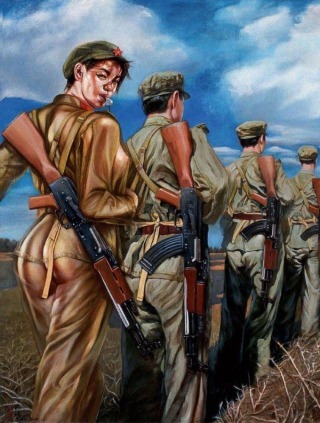 She currently shows internationally.